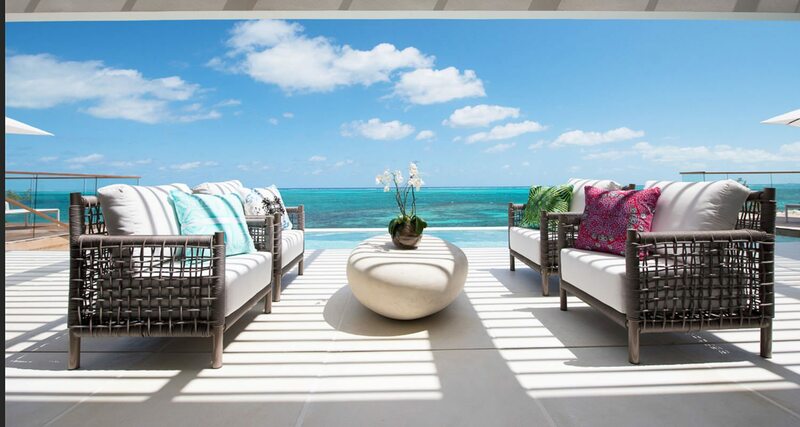 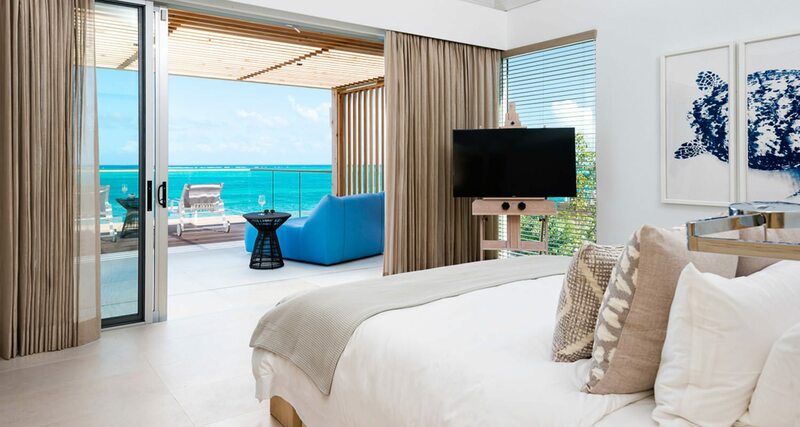 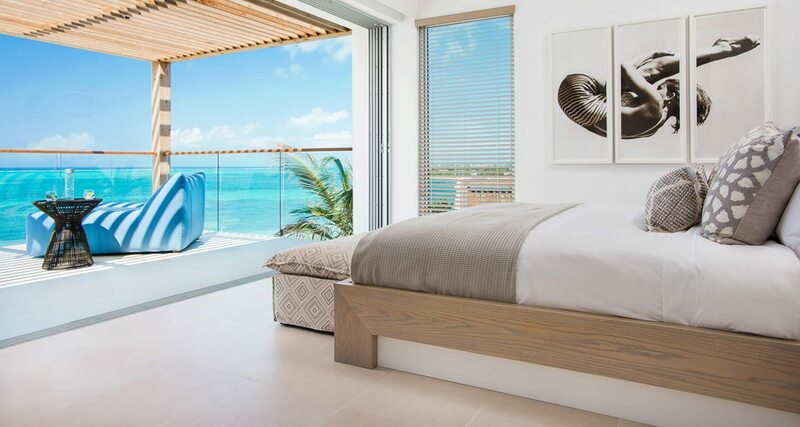 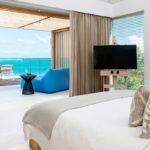 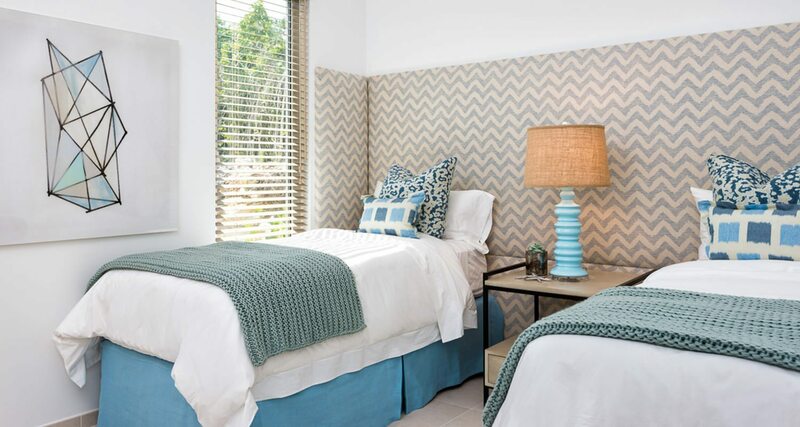 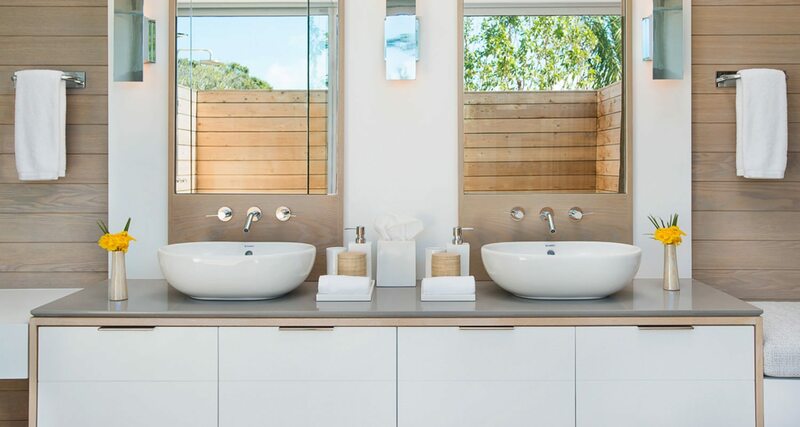 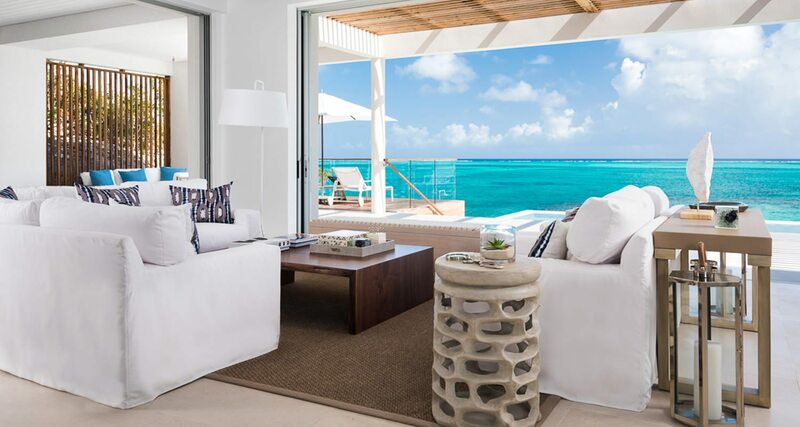 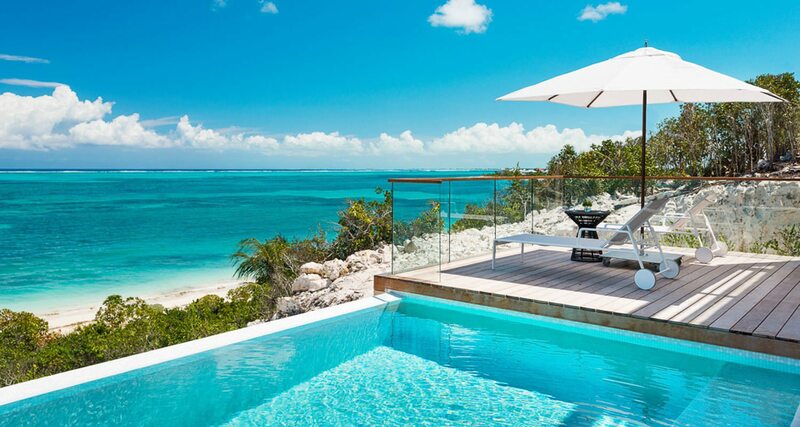 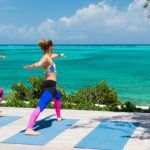 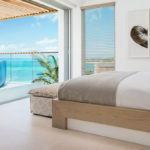 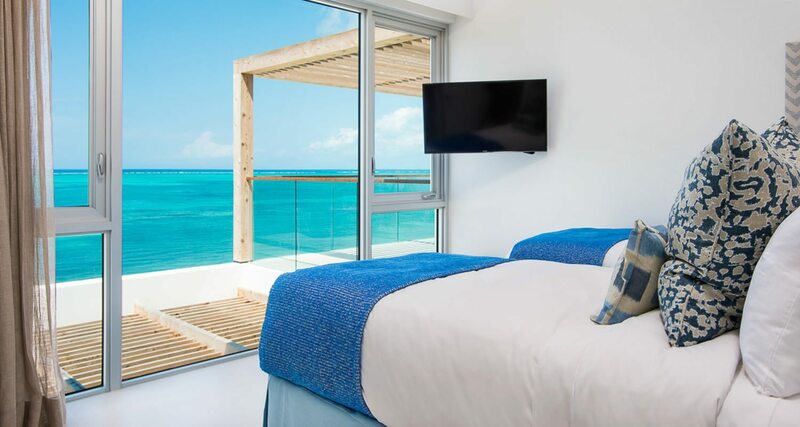 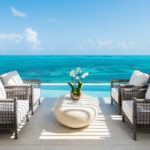 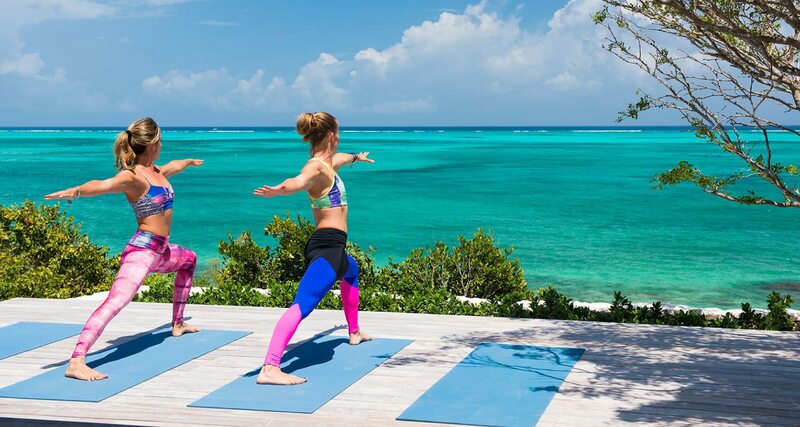 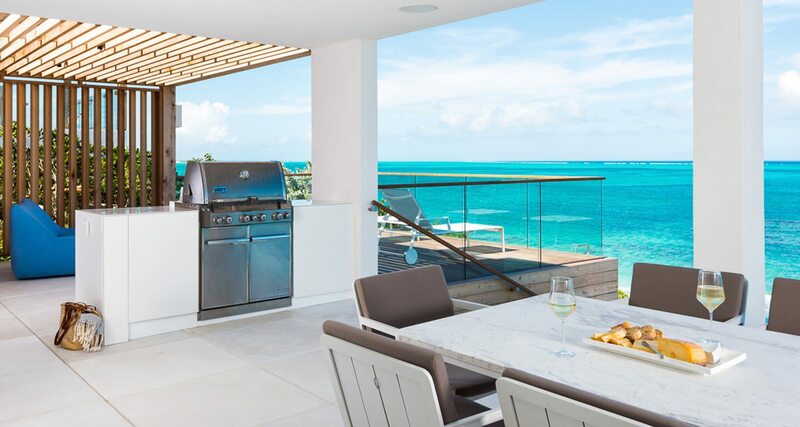 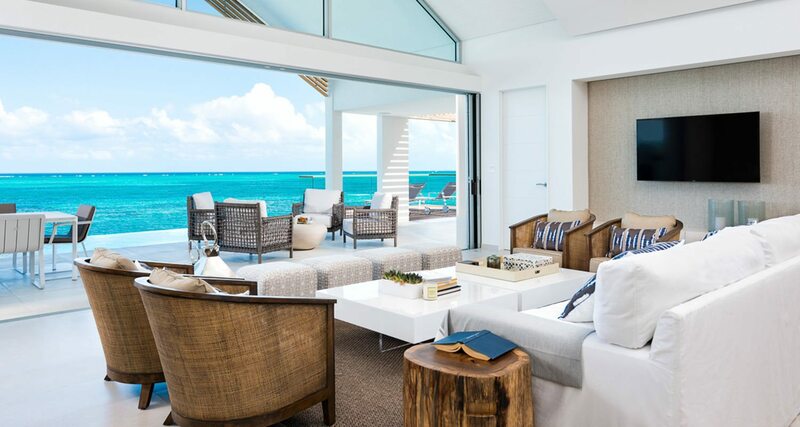 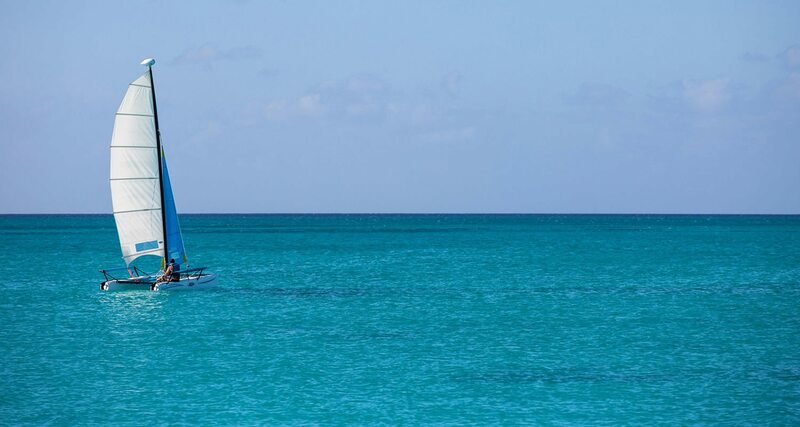 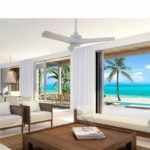 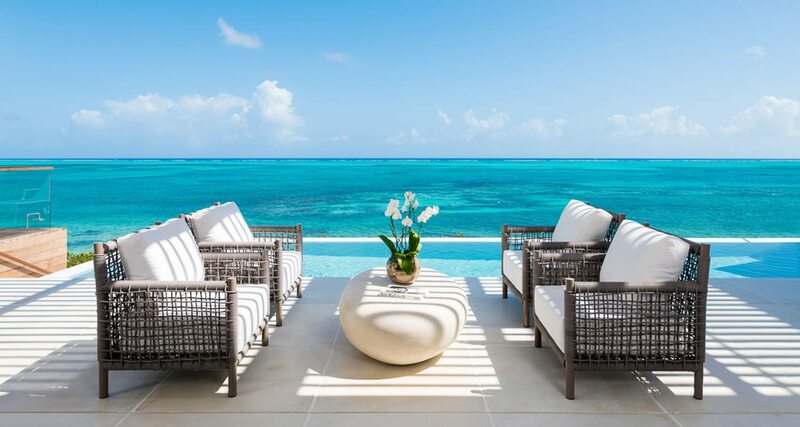 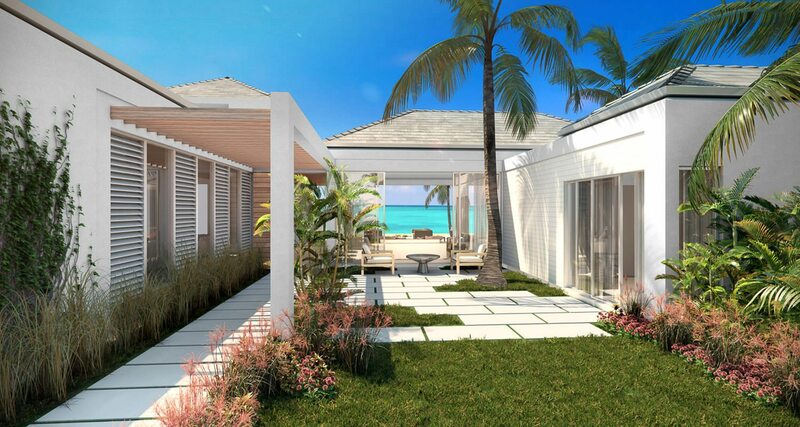 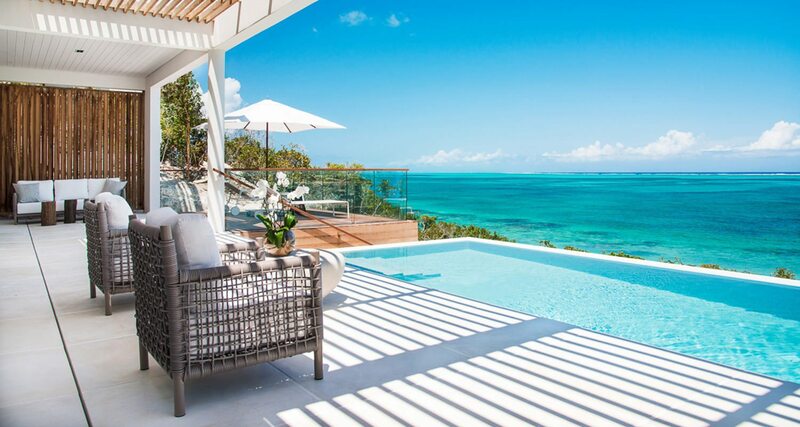 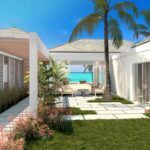 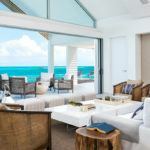 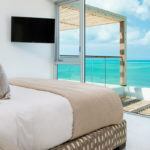 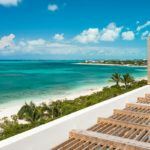 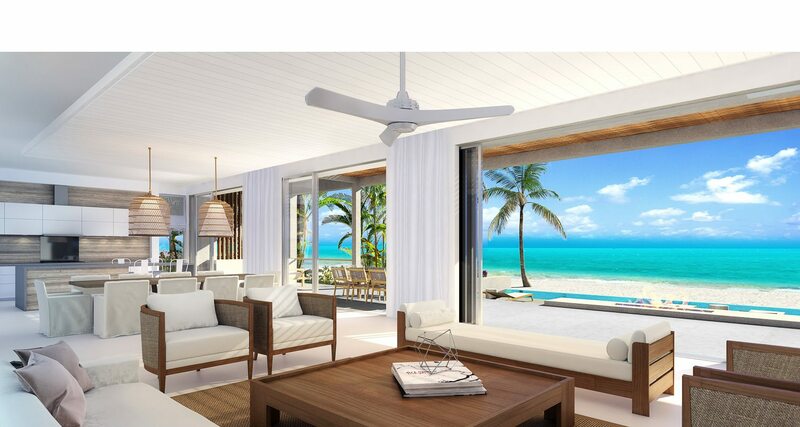 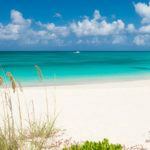 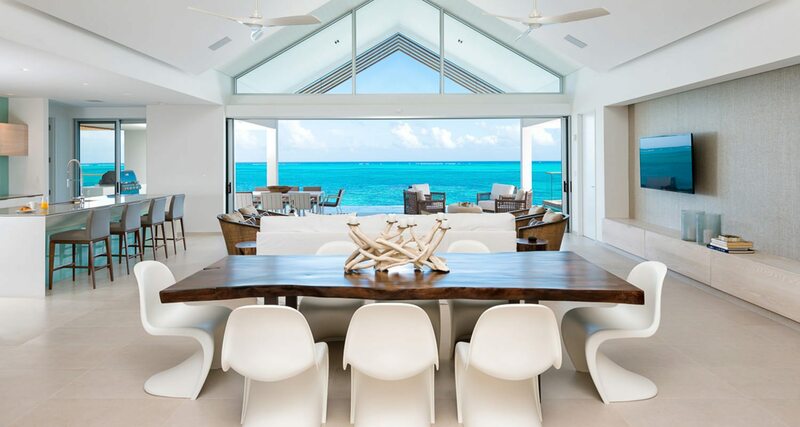 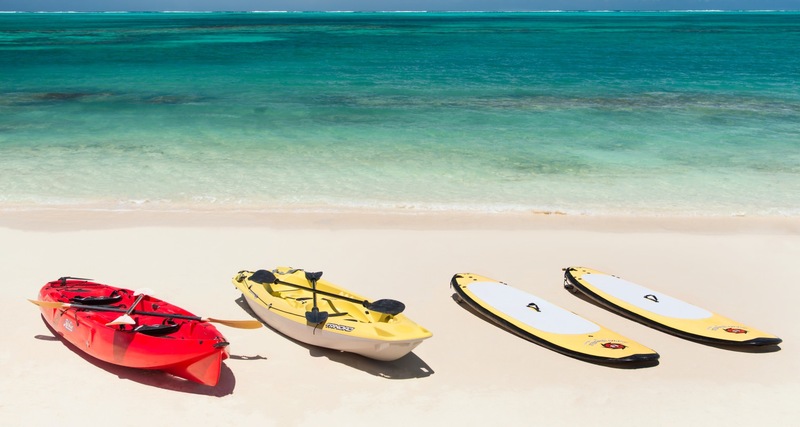 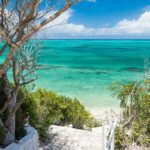 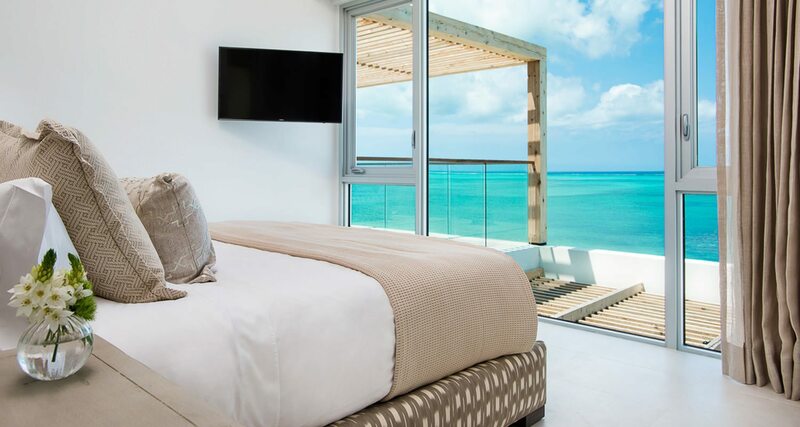 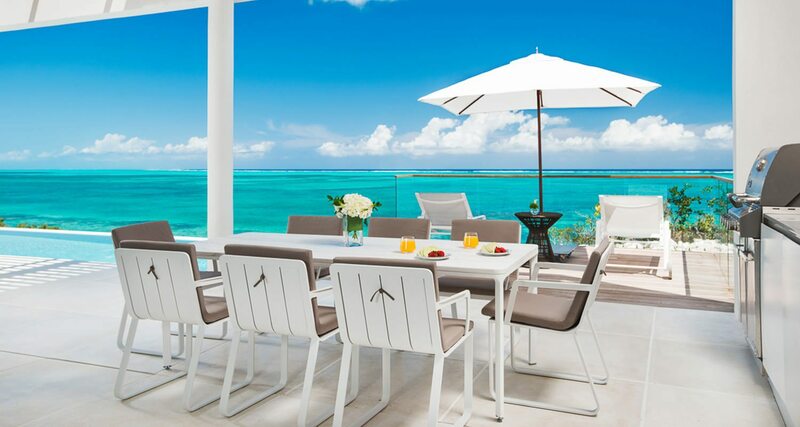 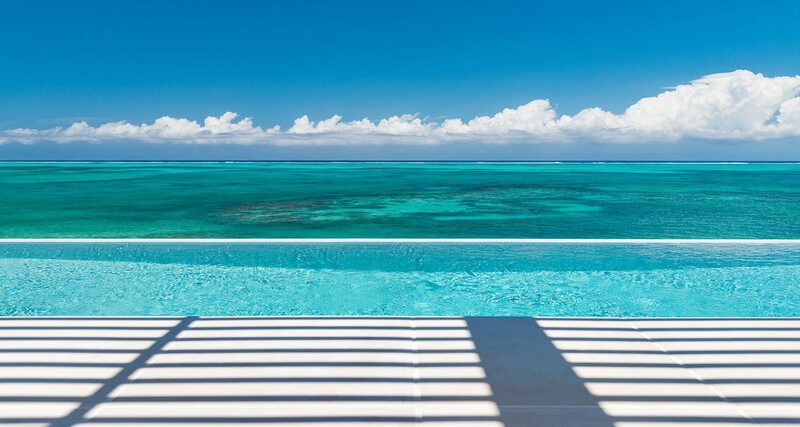 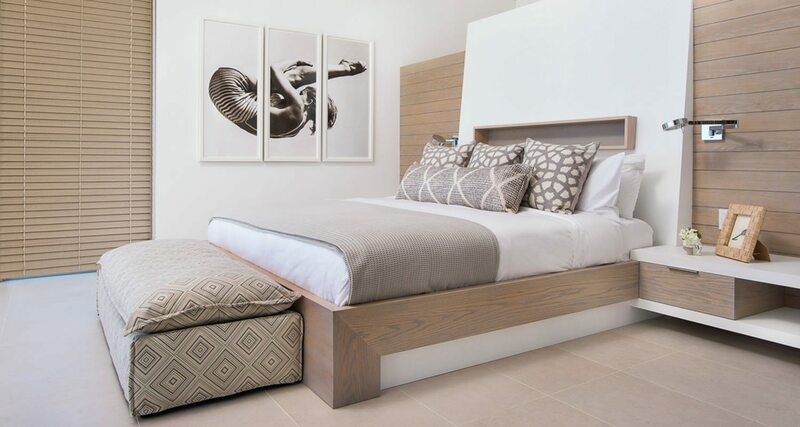 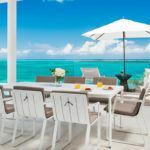 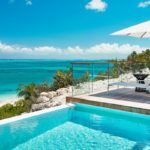 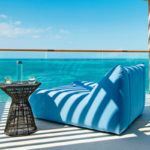 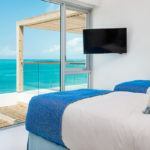 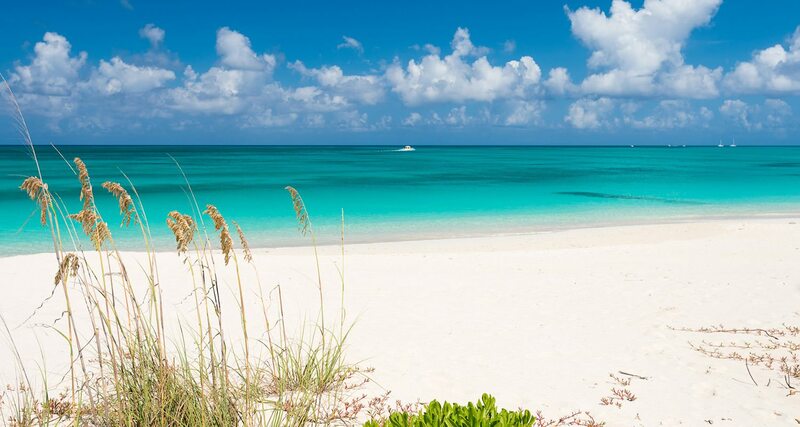 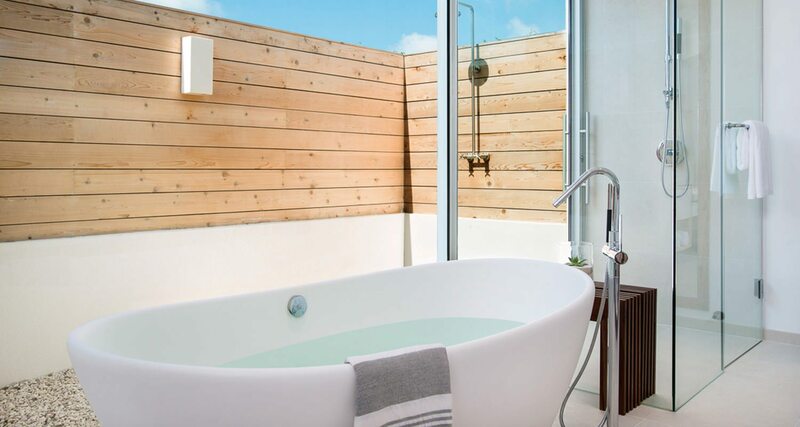 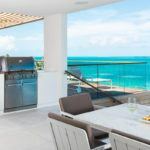 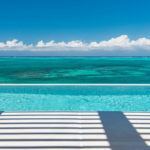 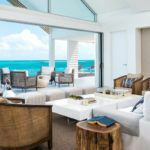 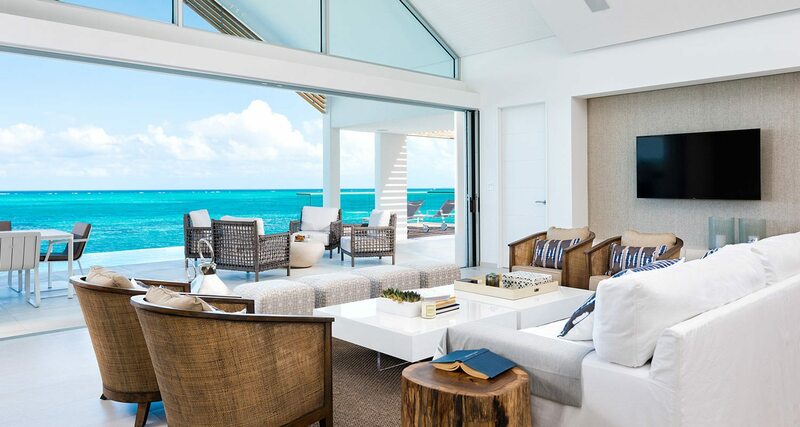 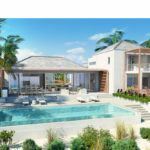 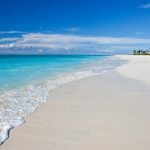 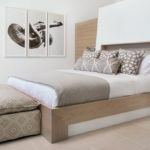 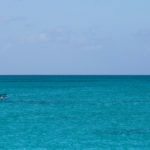 Beach Enclave Villa Turks and Caicos, Nestled on a cliff with up to 40 feet of elevation, our six beachfront villas range in size from four to five bedrooms, with over 6,500 total square feet. 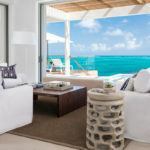 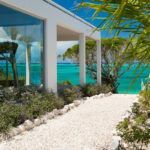 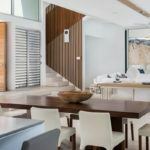 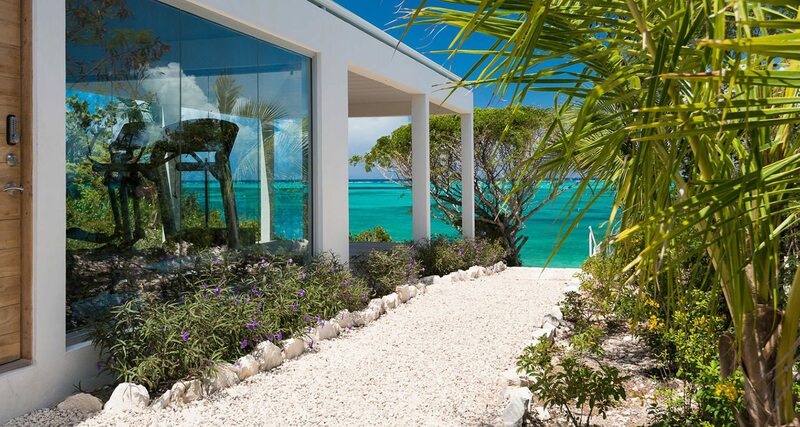 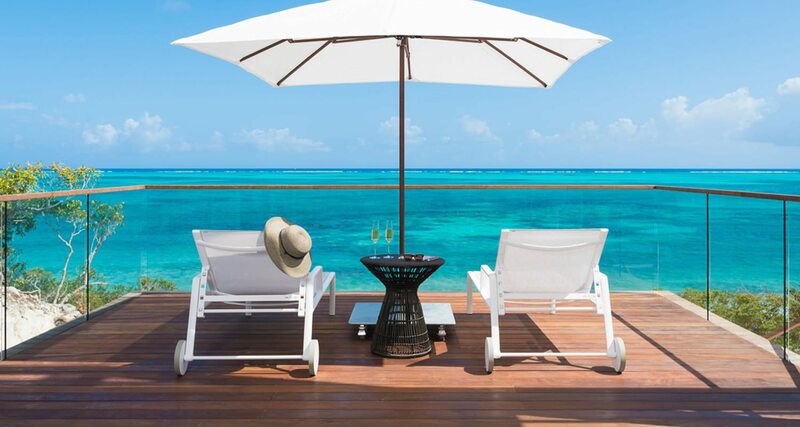 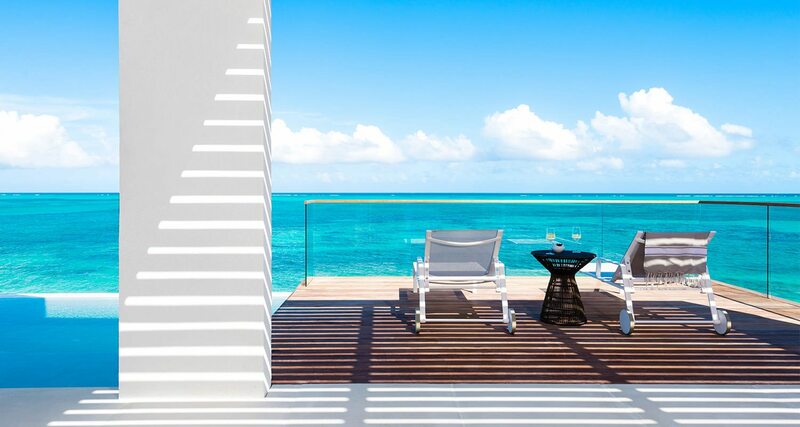 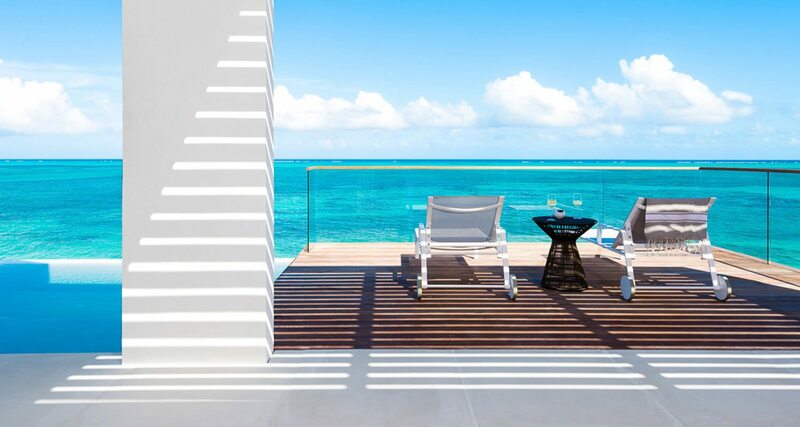 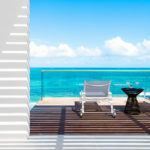 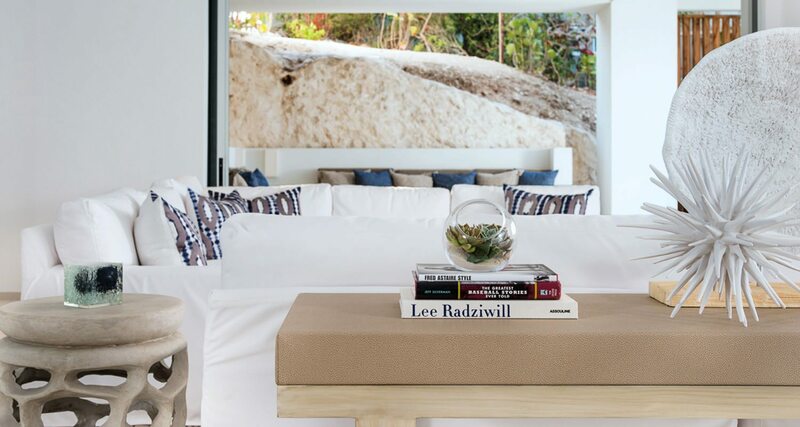 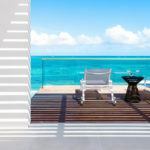 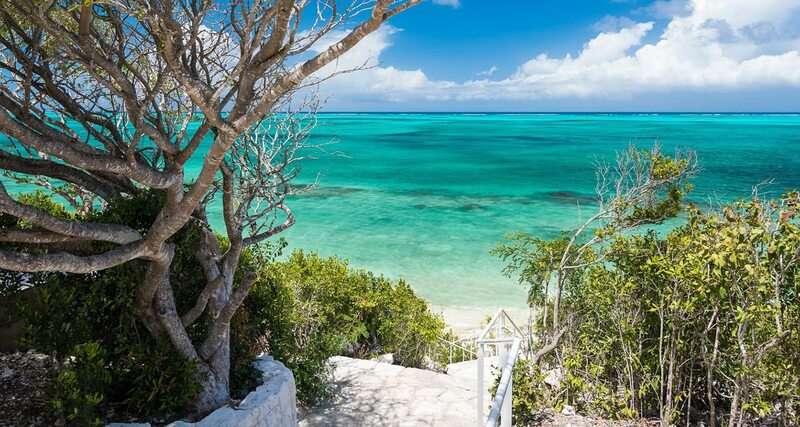 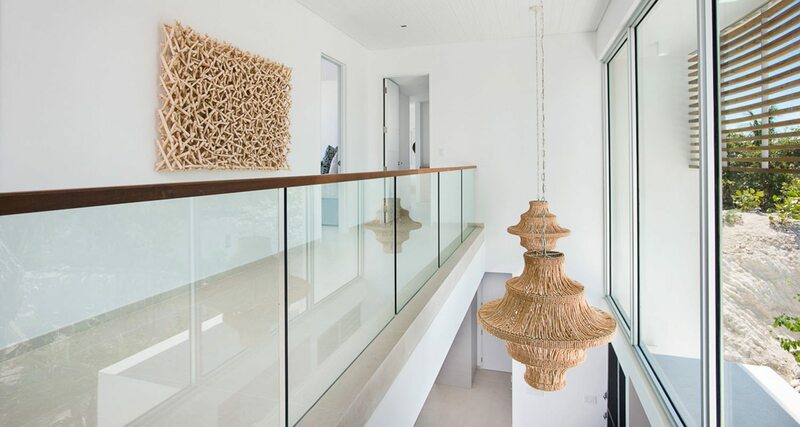 Surrounded by lush native gardens, each beachfront villa features its own private 100-foot stretch of beach unique in all the Turks and Caicos, elegantly accessible by a private staircase carved into the limestone. 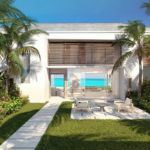 The beachfront villas’ private beach area boasts a shaded beach deck and outdoor summer kitchen, outdoor shower and fire pit. 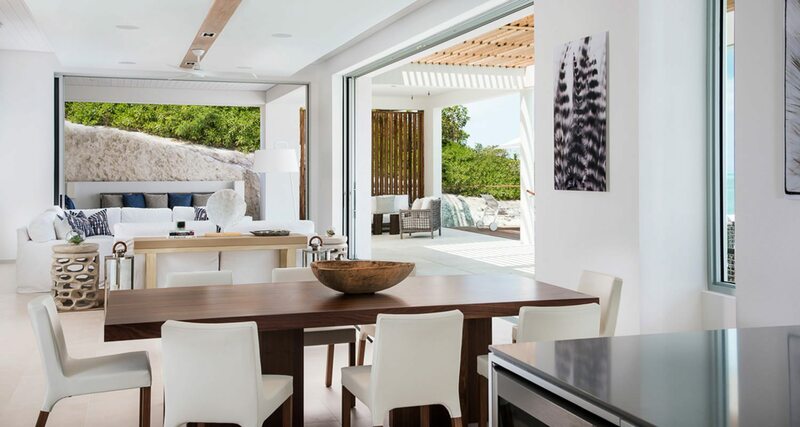 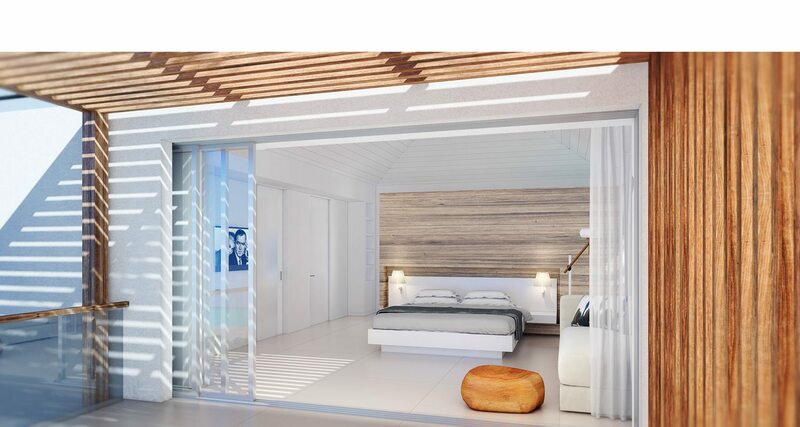 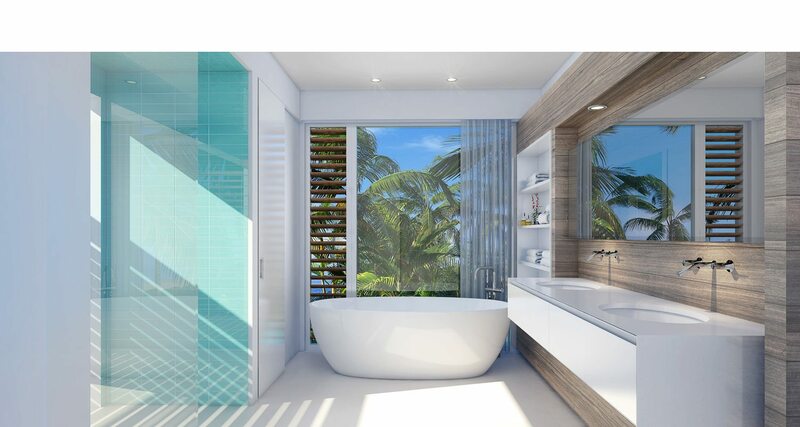 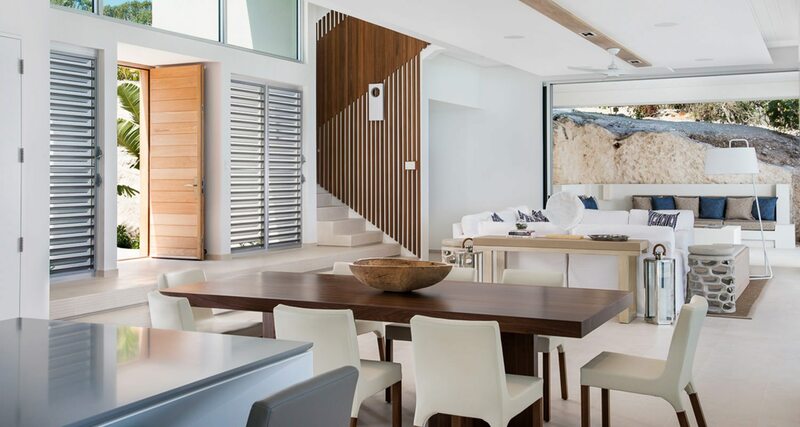 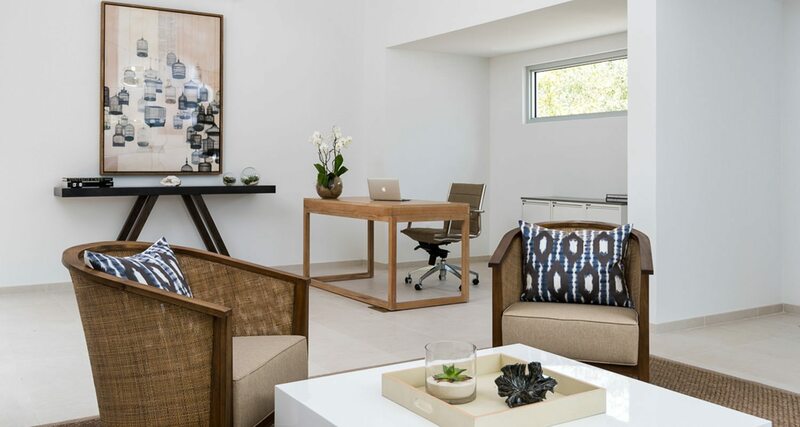 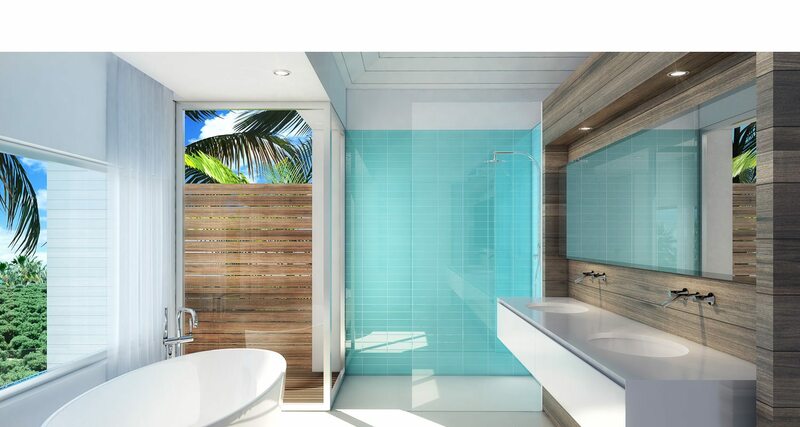 Inspired by an open Caribbean living concept, the villas blend indoor and outdoor spaces with wide glass doors and multiple terraces. 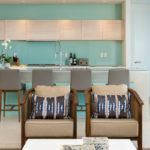 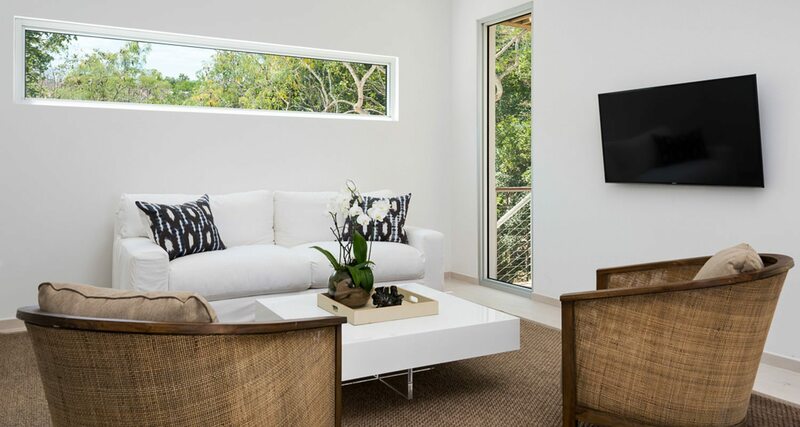 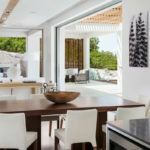 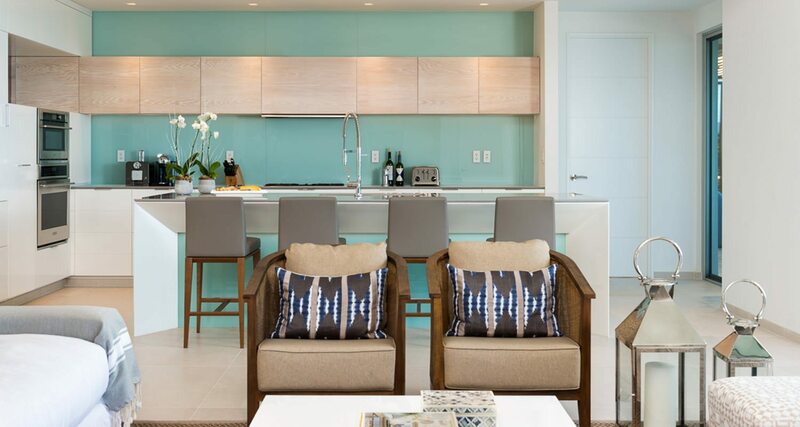 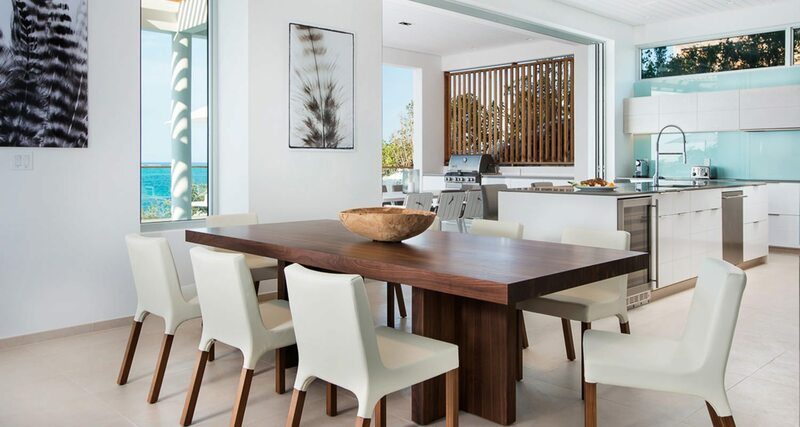 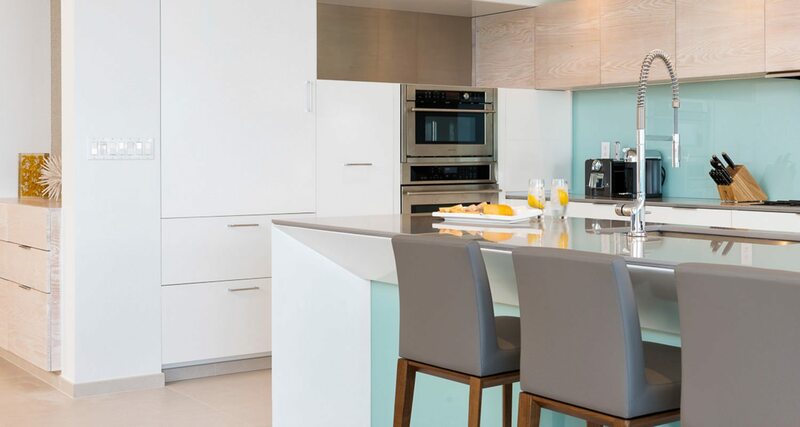 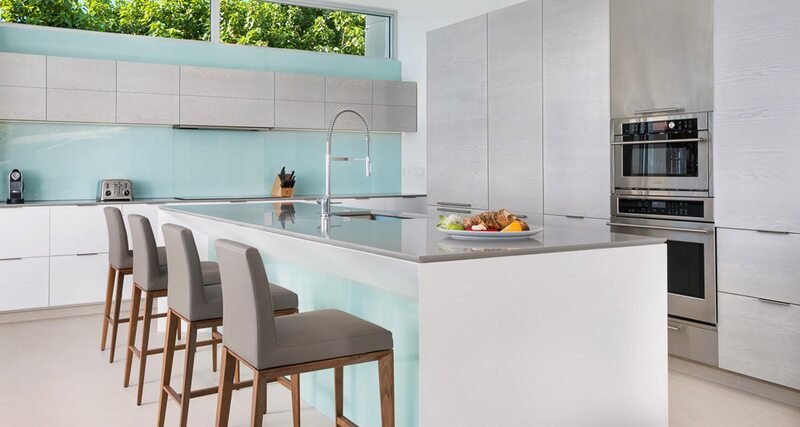 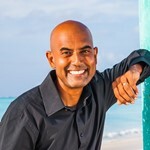 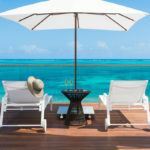 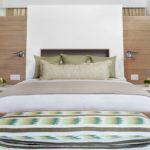 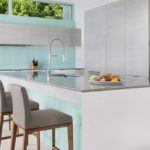 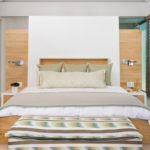 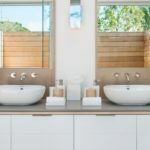 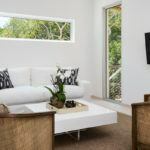 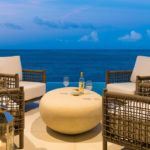 Each villa has a fully equipped top-of-the-line ocean facing kitchen, with the option to hire a Beach Enclave chef for a meal or your entire stay, as well as indoor and outdoor dining served by a private butler. 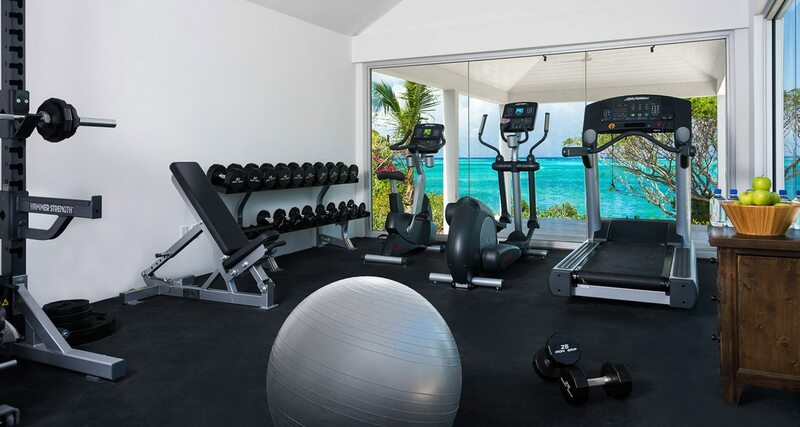 Conditions: 100% required at time of booking. 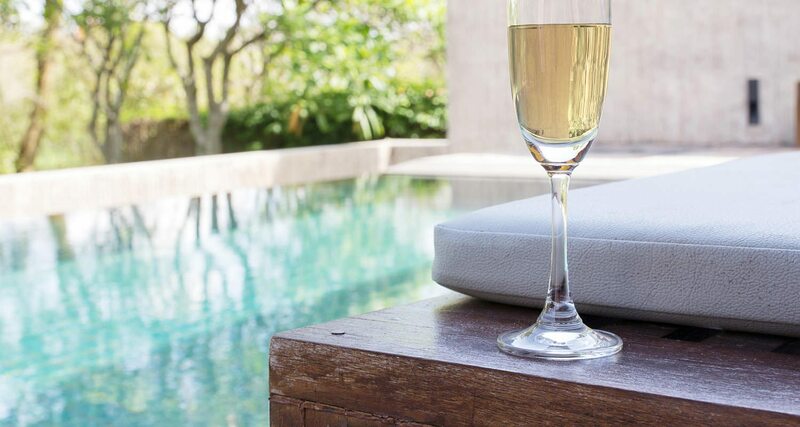 Non-refundable. 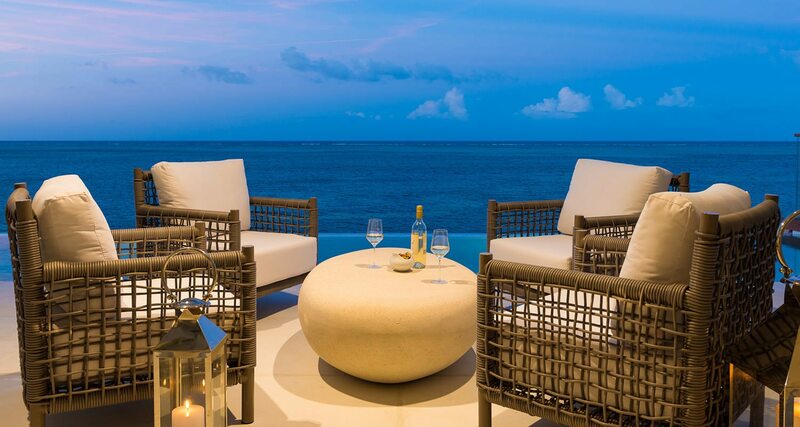 May not be combined with other offers. 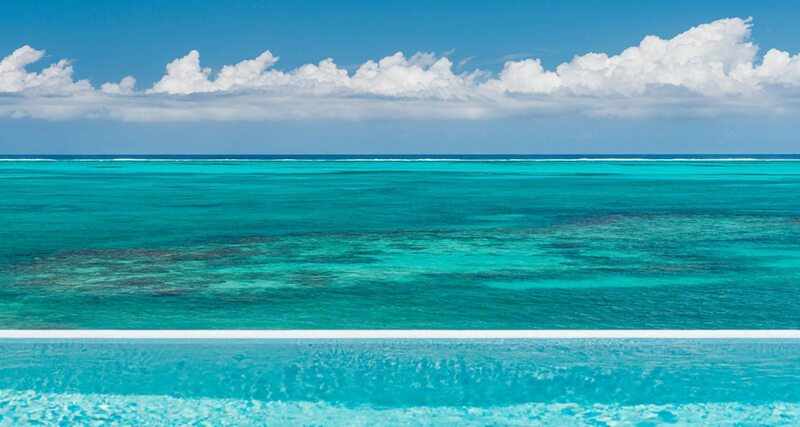 New bookings only. 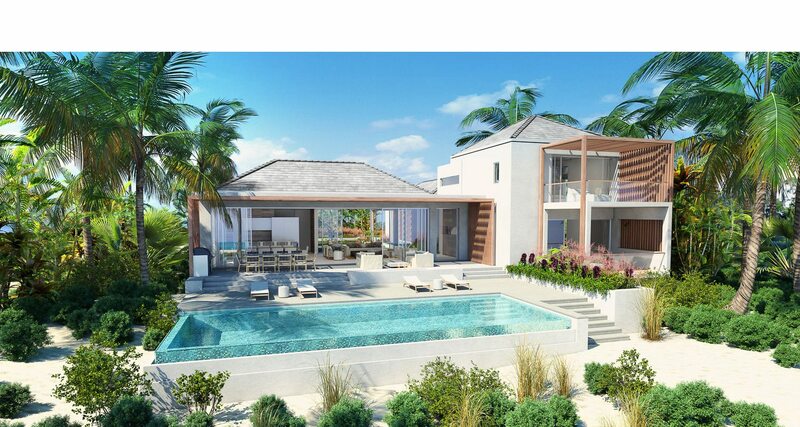 Villas range in size from 6500 – 7700 Sq.Ft. 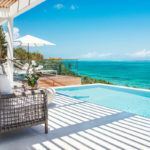 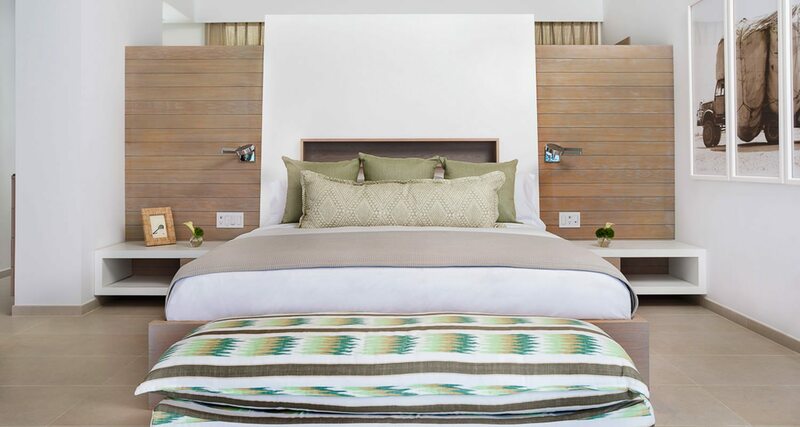 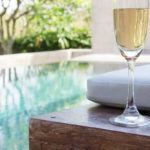 Each villa enjoys a private infinity pool, fully furnished large outdoor living space as well as an ocean facing kitchen with option to hire a private chef. 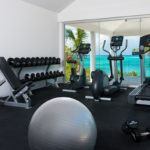 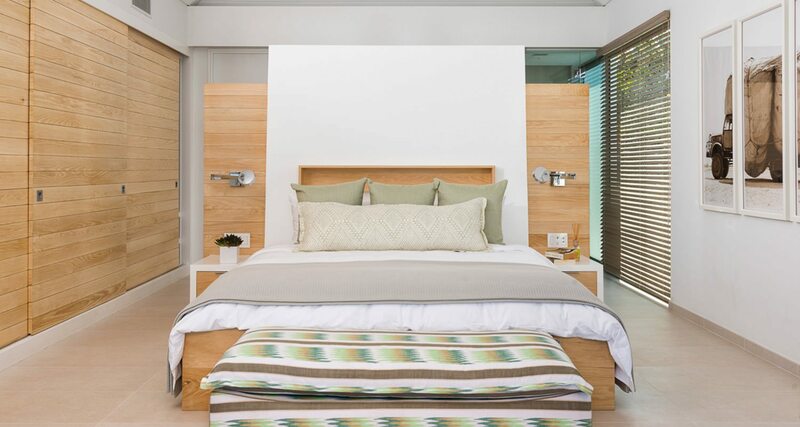 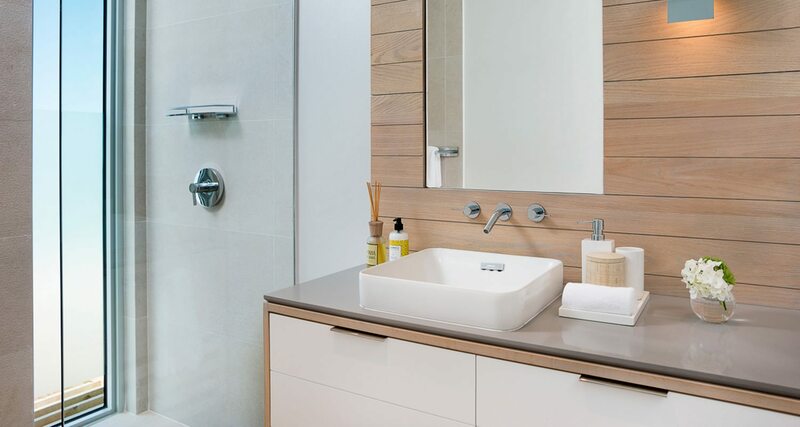 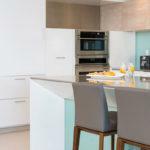 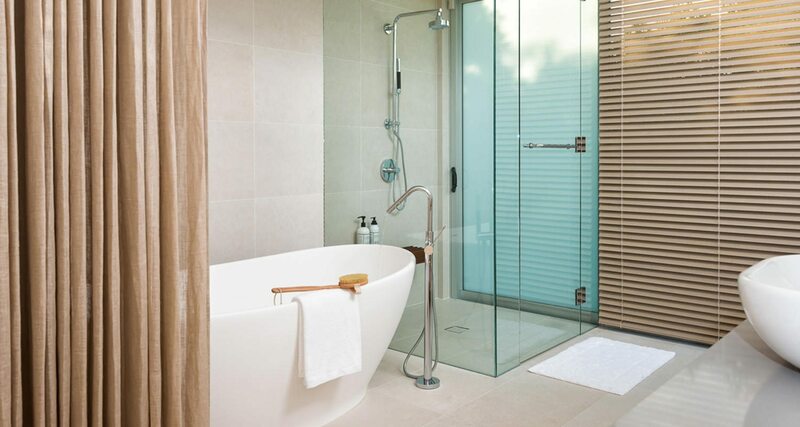 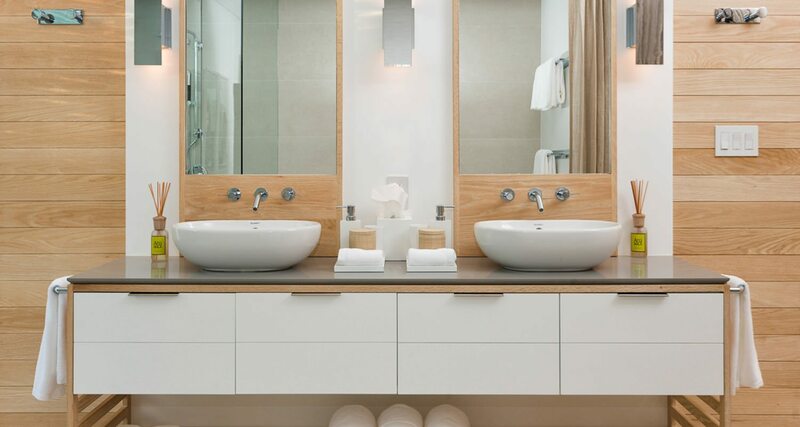 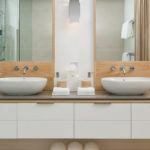 Daily housekeeping and butler service for drink and light meal prep is included. 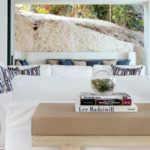 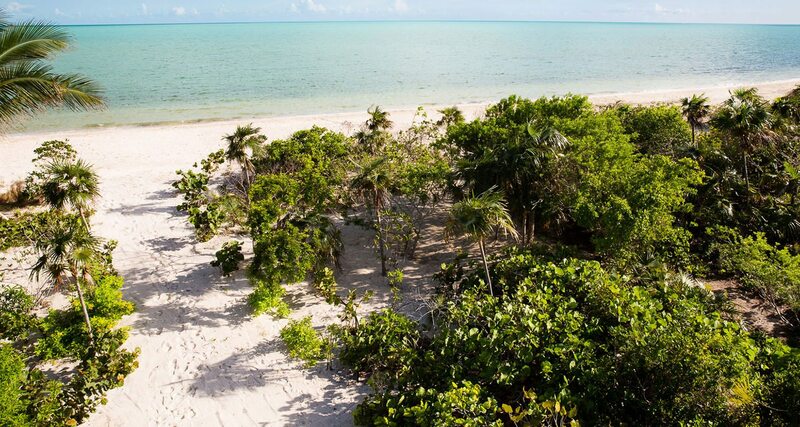 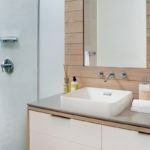 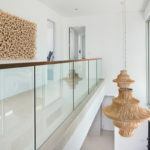 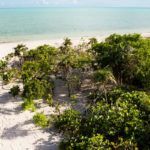 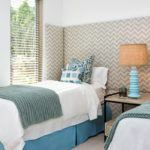 The beach front villas enjoy a secluded private beach area as well as a private beach level deck which features a summer kitchen, fire pit and outdoor shower. 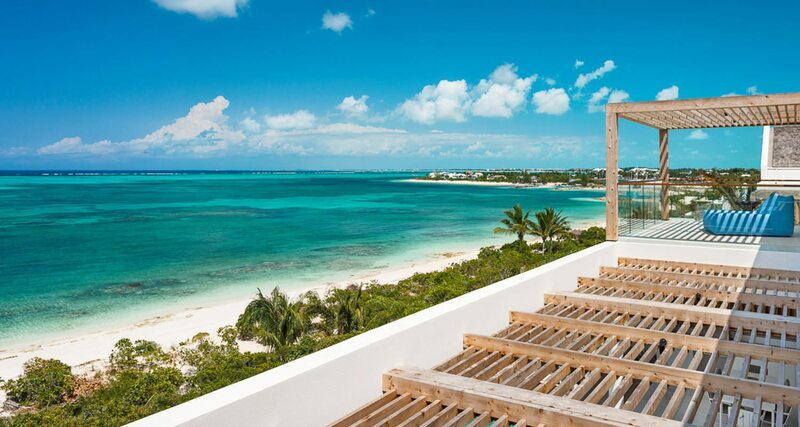 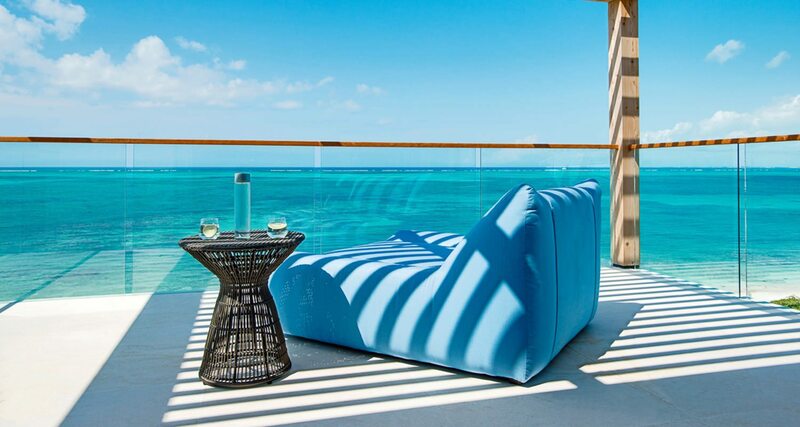 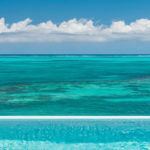 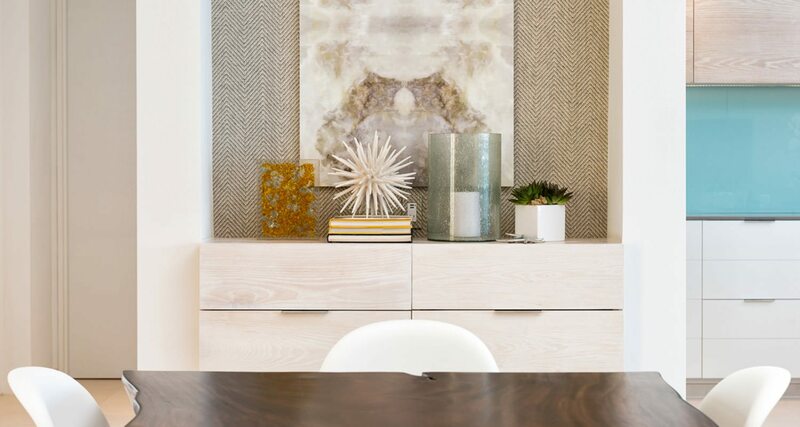 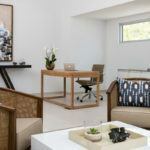 The ocean view villas offer stunning views from their 65 foot elevation. 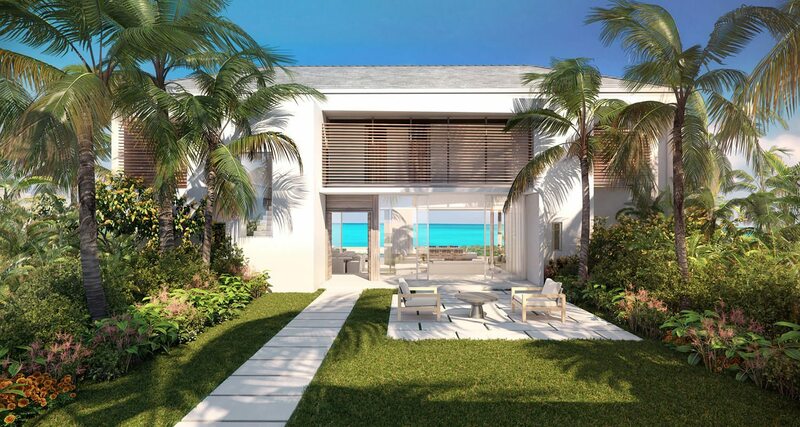 They are just minutes away from the beach and a complimentary golf cart is available for each of these villas.